I am using a Dell 2-in-1 13" touchscreen laptop - Inspiron 137359. 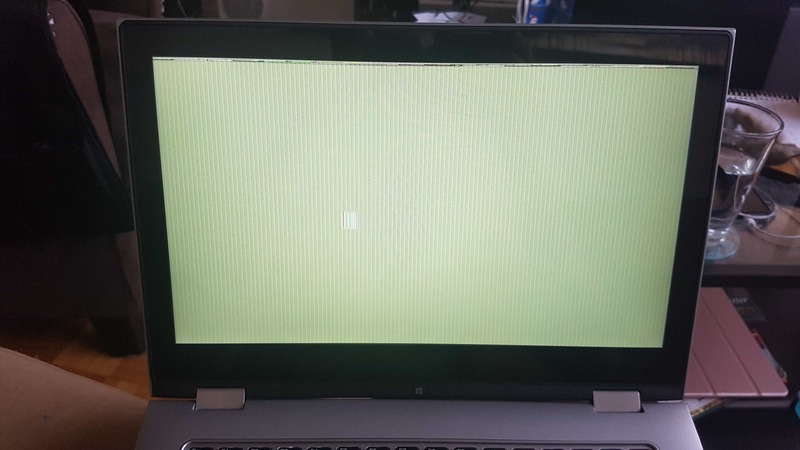 After the most recent windows update (Windows 10, version 1709), I find that whenever I turn on my laptop after it's been on standby, I get this strange screen in the picture. Happens every time after windows updated a few days ago, never happened prior to this. I have to do a hard reset everytime to get back to normal, only to have it happen again when the computer goes to sleep due to inactivity. Can someone please help? I'm not sure how to go back to my previous version of windows 10 without losing my data / pictures etc. Am having the same issue after Windows update. Any solution?